When the Ovalhouse opened in the 1930’s it was originally a club providing sports, leisure activities, and skills training for disadvantaged youths. In the 1960’s, the venue underwent an overhaul and changed its focus to theatrical productions, renaming itself the Oval House Theatre. It’s debut productions was A Taste of Honey. The venue has supported cutting edge and experimental theatre companies throughout the years, including gay, lesbian, Black, Asian, and women’s theatre (from the 60’s right up to present day). 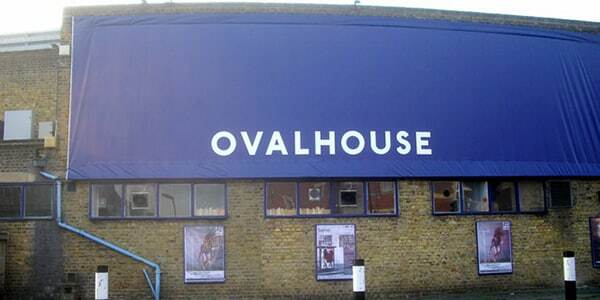 In 2011, the theatre re-launched as Ovalhouse, and continues its programme of radical theatre. The Ovalhouse features two theatre spaces, a main downstairs theatre (200 seats) and an upstairs space (70 seats). The theatre has a Youth Arts and Participation division, working with both youths and vulnerable adults in a variety of programs, including workshops, classes, and an annual youth festival (called 33% London).